According to a new report from U.S. Department of State’s Office of the Inspector General, agency employees sent more than 1 billion emails, of which they made just 41,649 of them into public records. That’s about 0.004% of them, by my rough calculation. 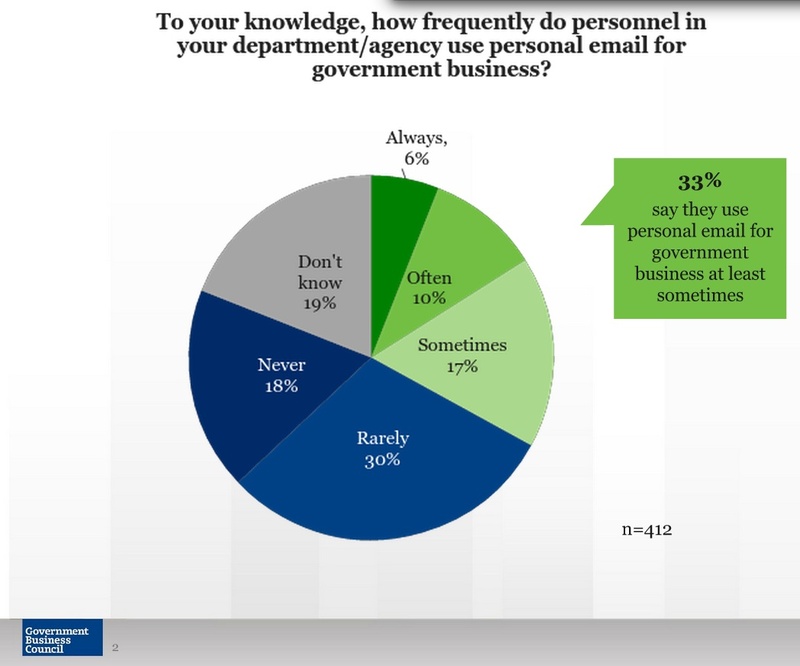 While their calculation looks off by orders of magnitude, this tiny percentage still translates into members of the civil and foreign service entering almost none of their emails into archiving systems. While the story hardly need it, this adds more interesting context to former Secretary of State Hillary Clinton’s decision to designate roughly 50% of her personal email as public records. As Sunlight Foundation policy director John Wonderlich commented in Politico, this IG report undermines her argument that her emails with State Department workers were preserved on their end. For more, read Josh Gerstein report exploring the broader ramifcations of the watchdog report on Clinton’s defense at greater length.